The show originally aired on Friday nights (ABC), as part of a tv line-up that included: The Brady Bunch, Nanny and the Professor, The Partridge Family, and That Girl. Shirley Jones, who was married to Jack Cassidy, was the real-life stepmother of David Cassidy. The show was loosely based upon the lives of The Cowsills. Shirley's mother was played by Rosemary DeCamp. Her father was originally played by Ray Bolger, and later played by Jackie Coogan (Uncle Fester from The Addams Family). The youngest son, Chris, was originally played by Jeremy Gelbwaks but replaced after one season by Brian Forster. The show was set in San Pueblo, California - a fictional town. Shirley Jones and David Cassidy are the only cast members who sang on the Partridge Family record albums. 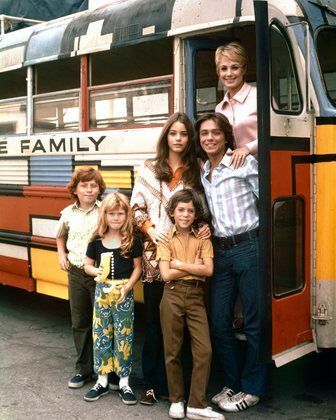 The Partridge Family bus was inspired by the geometric paintings of Piet Mondrian. If the Partridge house looks familiar, it's because you've seen it before as the home of Gladys Kravitz on Bewitched. So ... did you watch The Partridge Family? What do you remember about this show? And did you prefer The Partridge Family or The Brady Bunch? I'd love to hear from you in the comments, below! Awesome facts! I've never seen this show but I loved the Brady Bunch! Trish, I used to love watching The Partridge Family, so I especially enjoyed your fun facts! On a sad note, I read recently that the youngest cast member, Suzanne Crough, died in April of this year at only 52 years of age. 45 years old...that does not seem possible. I honestly didn't watch it, but did watch the Brady Bunch. I love the background of your blog, by the way. Neat facts! I've only seen a couple episodes but my mom is a huge fan! I loved watching that show with my mom!! She had a crush on David Cassidy growing up too! 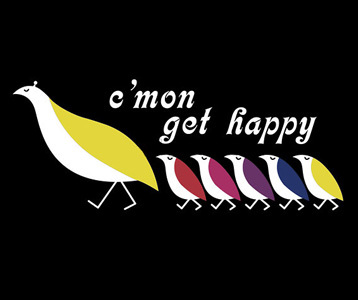 I used to watch this the Partridge family reruns when I was little. Neat to know these facts. I had no idea that Shirley Jones was David's IRL step-mom. Thanks for your visits and comments! Love talking retro with y'all. Mary, yes, that was so sad about Suzanne Crough. Way too young!